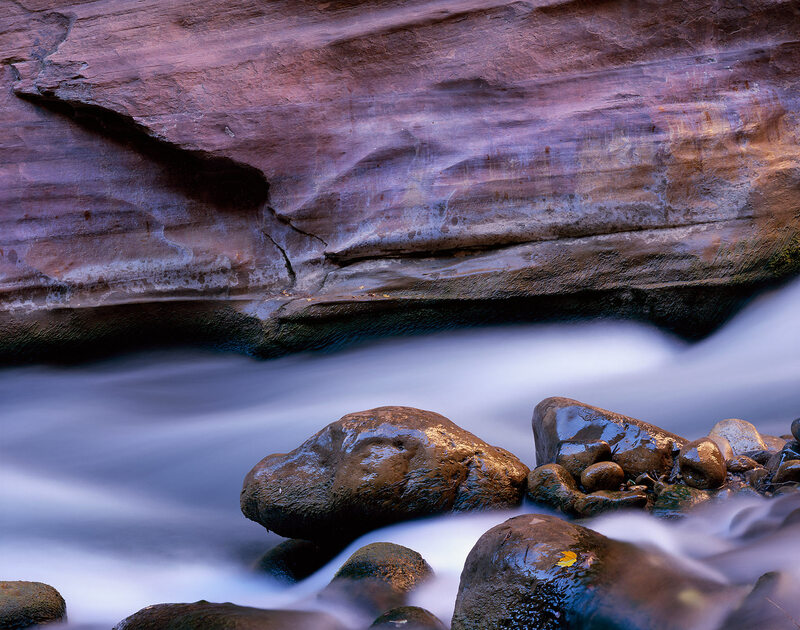 I liked the ephemeral nature of this simple image in the famous Virgin River narrows. River stones left by the last flood… fallen leaves… the sound of flowing water… all bathed for but a moment in the warm morning light reflected off the sandstone cliffs above. The sandstone wall seems as smooth and flowing as the river that has carved and polished it.